Each year the A to Z challenge provides an opportunity for bloggers to choose a theme and post using the letters of the alphabet during April. There are over 550 bloggers participating. Below is a list of those who have indicated that their theme is Genealogy focussed. This is my third year of participating, once on this blog and now for a second time on my family history blog. My focus this year is on digitising my mother's recipe collection to preserve her handwriting and pass on some of her favourite recipes. How appropriate on World Genealogy Day that this afternoon at Cooroy, the local Historical and Genealogical Society was presented with the Centenary Medal from the Royal Historical Society of Queensland. 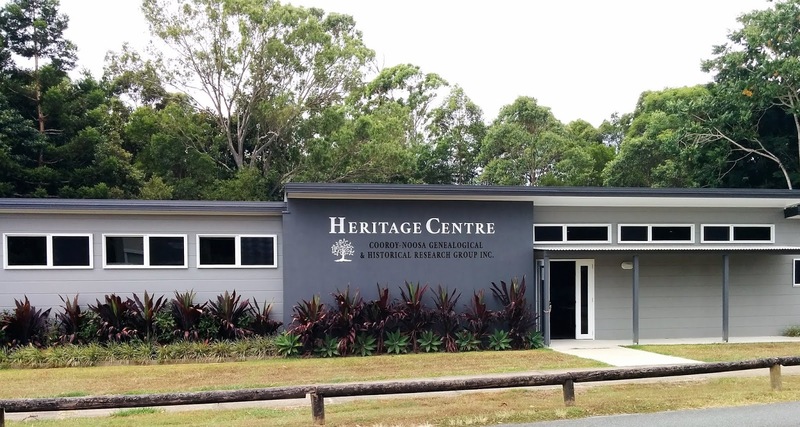 Service to the Discipline of History in its many Forms with particular reference to the Research, Preservation and Promotion of the History of Queensland. The group which commenced operations in 1996, has worked tirelessly and successfully to raise funds to build and establish a Heritage Centre. The new building was completed in December 2016 and now houses the Group's comprehensve library and well equipped research centre. Congratulations to the hardworking members of the committees throughout the years and the members who contributed to the success and realisation of this venture. Through their efforts and the ongoing efforts of the members of the group, the local history of the region is being preserved. Please visit our website to learn more about the group and the local history resources available. Could emojis be useful in blog posts? Following a tip from Jake Miller about using emoji bullets in Google Docs and Slides, I investigated a couple of ideas for using them in Blogger. 1️⃣ From the blogger menu bar, Insert special characters reveals a wide range of emoji. 2️⃣ In Windows 10 Use the WIN logo key and period to reveal this pop-up from which to select emojis. It is displaying the 1 and 2 I've just used. 3️⃣ Use the Windows 10 touch keyboard. To enable the touch keyboard on non-touch screens, right click on the task bar and ensure touch keyboard has a tick next to it. The icon for the keyboard now shows on the task bar. Click on the task bar icon to use the keyboard on screen with either mouse or touchpad. Keep in mind that emoji may display differently to the one you inserted depending on the device your reader is using. These numbers I have used 1- 4 appeared blue when inserted, but display as white when published here on Windows 10, but retain their colour on the ipad. Have fun investigating.